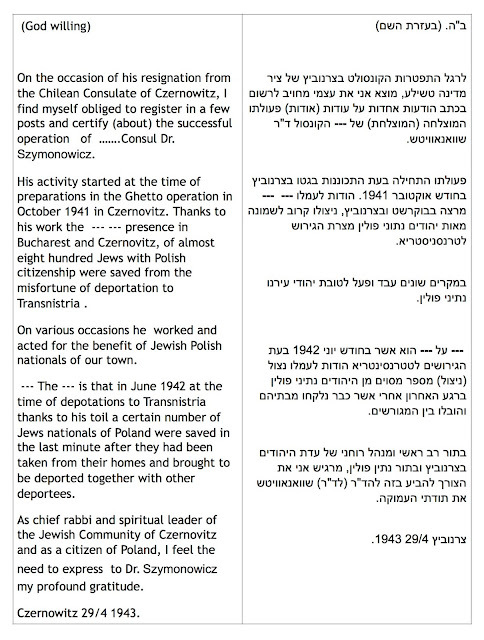 The Embassy of Chile confirms that the Polish citizen … bearer of the passport no. 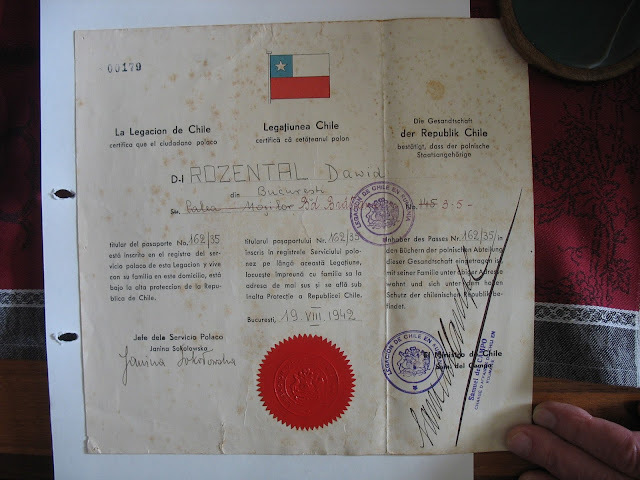 …, listed in the Polish Consular Register, residing at the above mentioned address, stands - together with his/her family - under the high protection of the Republic of Chile. 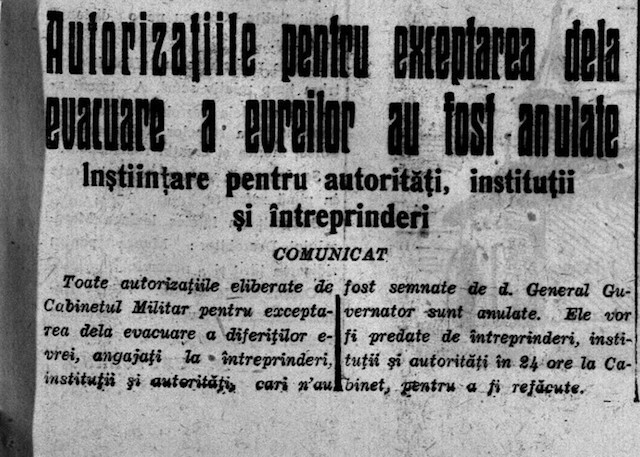 "Bucovina", October 5, 1942: The Authorizations For Exemption From Evacuation Have Been Cancelled • Notification for Authorities, Institutions and Enterprises • Communication • All authorizations for exemption from evacuation issued by the Military Cabinet for Jews, who are employed by enterprises, institutions and authorities, with the exception of those, which were signed by the Governor-General, are cancelled. They will be returned by the enterprises, institutions and authorities to the Cabinet in order to be reissued. 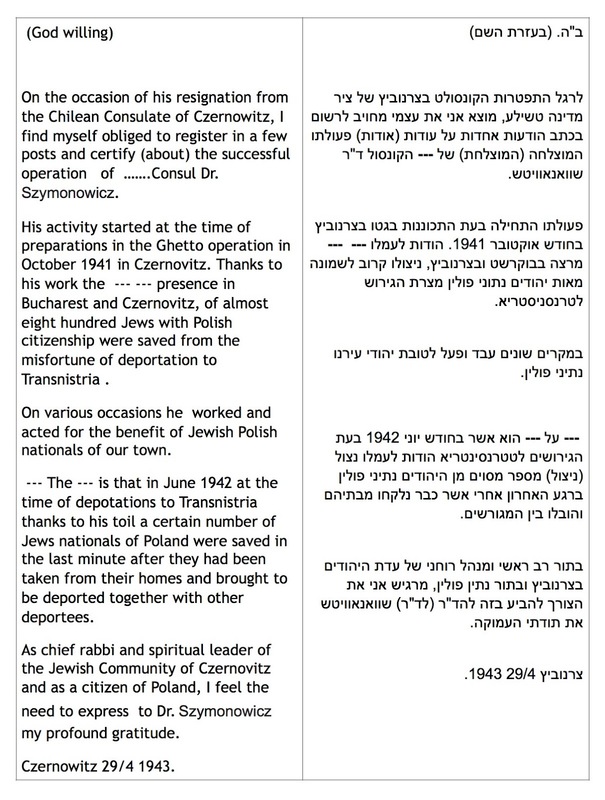 Jorge Schindler del Solar, Chilean diplomat and researcher, wrote: From the year 2013 I’m conducting research with respect to the Chargé d’Affaires of Chile in Bucharest – Romania, Samuel del Campo, between the years 1941-1943, who as I could investigate, would have helped the Jews of Polish origin in Czernowitz. Looking for evidence of possible people, documents, or memories that help me in the investigation to recover the memory of this diplomat. 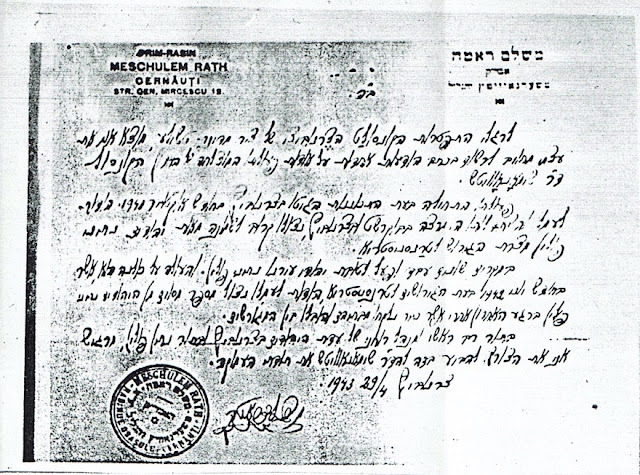 Samuel, with the help of his Romanian Jewish Secretary, managed to stop the deportation by train to some Jews, and give Chilean passports to at least 1700 people. It also protected their homes, placing Chile seal on their doors. 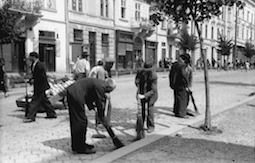 After the war, Chile dismissed him from his job and never returned to Chile, dying in France in the 1960s, leaving no relatives. I am looking for evidence of possible people, documents, or memories that help me in the investigation to recover the memory of this diplomat. Great research. Thanks a lot for having posted this. 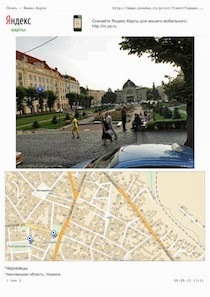 I really appreciate your posting this and other data from Bukovina that has been very tough to get - the Romanian Archives are rather testy! But I'd also very much like to know how you managed to get it - I'd found the references to the documents as posted on Ancestry.com (1. Cernauti, JM 11. 342, citizens of Chile - list of Declarations, AR-14a and 2. Chernauti, Bucovina JM 11.344, Jewish citizens of Chile YO-18d) then wrote Ancestry.com, who claimed to know nothing more than the refs they gave and have no copies - then to the Central Zionist Archives, Yad Vashem and the Washington Shoah Memorial, all of which were mentioned in the source notes as having copies - but none of them wanted to cough it up! claimed the indexing was old and meaningless, said they didn't have it! I know I'm getting old but what didn't I think of, that might have worked better! I collect and research WW2 passports and such item and this is new to me! Thank you! even though not able to find an example for my collection, I find the images and information important!